"The nights are very damp." March 12, 2011, an interesting search engine. March 2011 the url http://www.philatelicbooks.com/ is up for sale. Sept. 25, 2009 - GB 1864 1d red - the rare plate 77 - newly discovered cover? Sept. 23, 2009 - American Indian Culture, by D. J. McAdam, Philatelist - who records it was in the 17th Century that "India first got its modern name. That was more than 200 years after Columbus first began calling the indigenous tribes of North America 'En Dio' ... Over time, this term became 'Indian' in English." "... People collect stamps, and then they collect used stamps and they see that they got a cancel from some exotic place, so then they became interested in stamps on covers. ..."
Over 225 countries for viewing and reference. Sept. 1, 2009 - Dirk Spennemann's 'Digital Micronesia'. Probably one of the most comprehensive philatelic and historical websites that ties stamps & stamp collecting into the fabric of history. This appears to be a developing work but we suggest you especially see the Stamps and Postal History of the German Marshall Islands. June 30, 2009 - Could your post office be closing? As mail volume declines, the US Postal Service could shutter up to 3,200 post offices and retail outlets. Most people say they understand -- unless it's their post office. 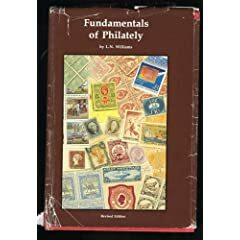 Allexperts - "Volunteer experts answer your questions about stamps for free." Malte Aronsson's Collector's Target - loaded with resources! -&- his "The Fight Against Illegal Issues"
Institute for Analytical Philately, Inc.
Topical Clubs; e.g. Libraries , Museums, Federations ..
An Invitation - to join this effort..
Toot-Toot - You said Wha? Oh? : Yeah, and it's free!!! "The first international Philatelic Exhibition took place at Dresden, Germany in 1870.."
Had to reset and change 1/20/2008 long after MSN (Link Enchange Hit Counter) quit! © A.J. Ward - all rights reserved.